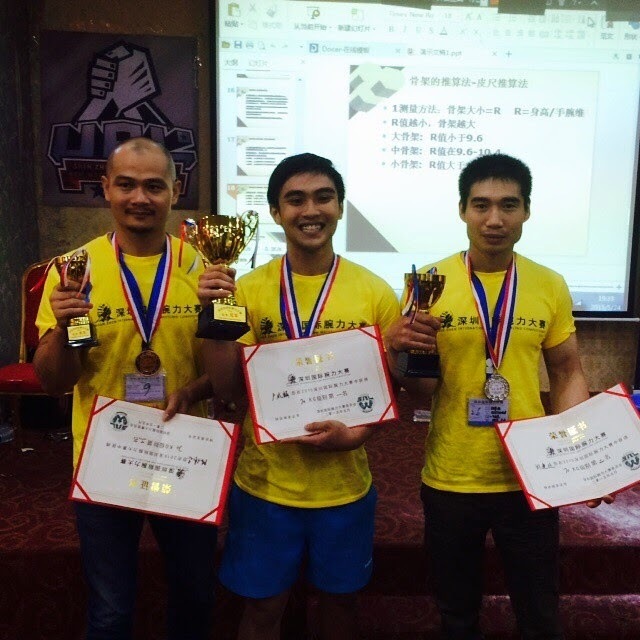 In his first foray to the mainland, 21 year old arm wrestler Valen Low has taken the right hand under-70kg title at the China International Armwrestling Championship 2015 on 23 May 2015. Held in Shenzhen, Valen shared that in the right hand under-70kg category, there were about 60 competitors hailing from China and Hong Kong. He took down 5 competitors, losing only one round in his final match before clinching the title. Coming into the competition, the 21-year-old was expecting a top three finish, and had sight on winning. It was also a first for China to organise an international arm wrestling meet. "The competition was good even thought it is their first time organising international competitions," said Valen. "It was amazing, China armwrestlers are very hospitable and generous. It was good to see the sport of arm wrestling there and there were a lot of potential and strong arm wrestlers." Valen also clinched third for the left hand open category and competed against the top two under-90kg arm wrestlers for the overall open and was able to put up a strong challenge despite being much lighter. 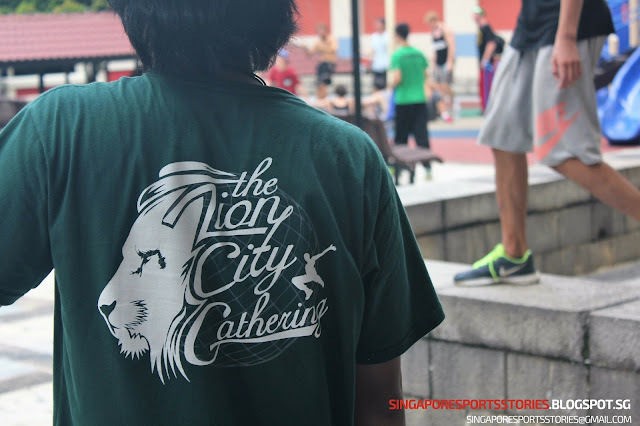 Singapore Sports Stories is an alternative platform for sports that are not covered by mainstream media. Why Muhammad Ali Was More Than Just "The Greatest"